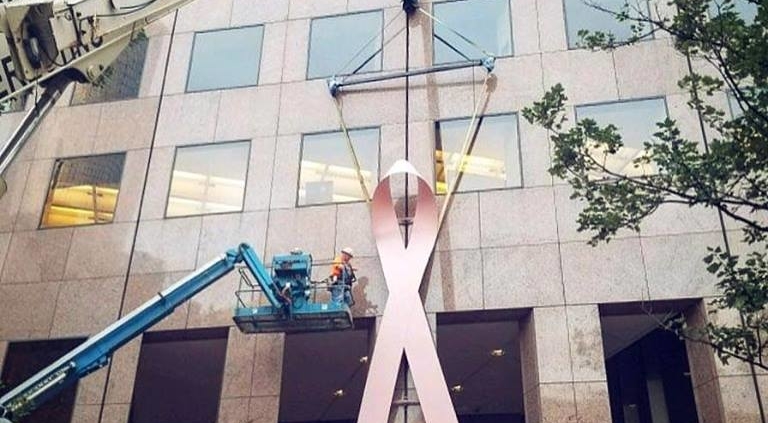 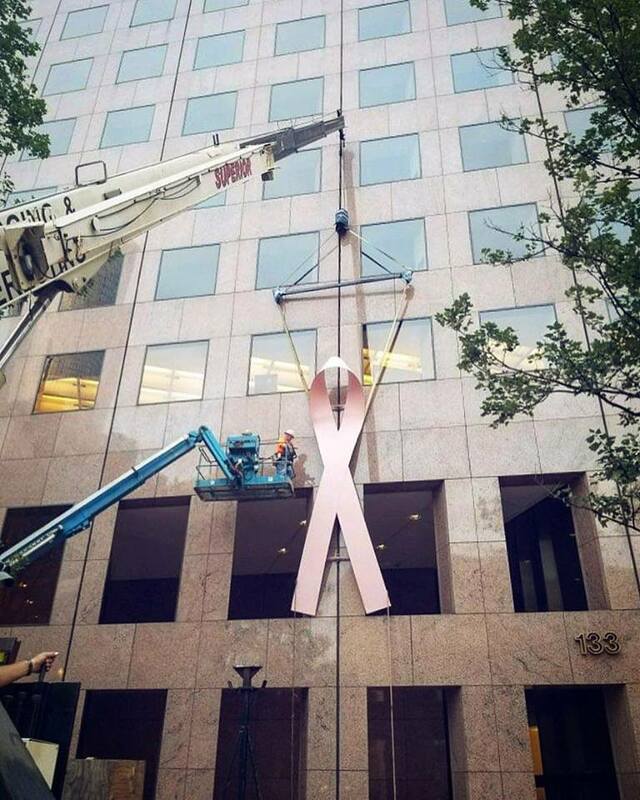 Each year, we have the pleasure of installing the pink ribbon for October breast cancer awareness, the mustache in November for Movember – men’s health awareness, and the Christmas wreath for Christmas. 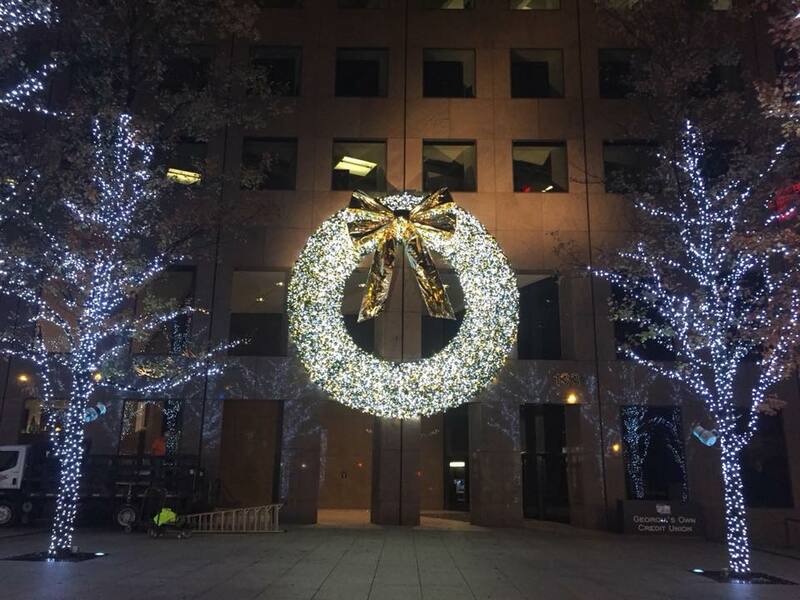 We store the ribbon, mustache, and wreath for the customer year round in our indoor storage facility. 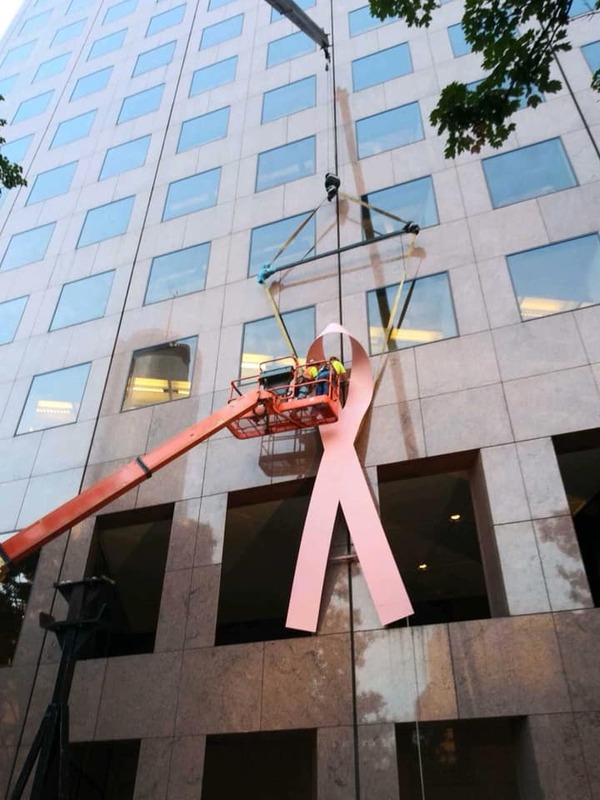 In October, we transport the ribbon to the GA Pacific building and set the ribbon on the building. 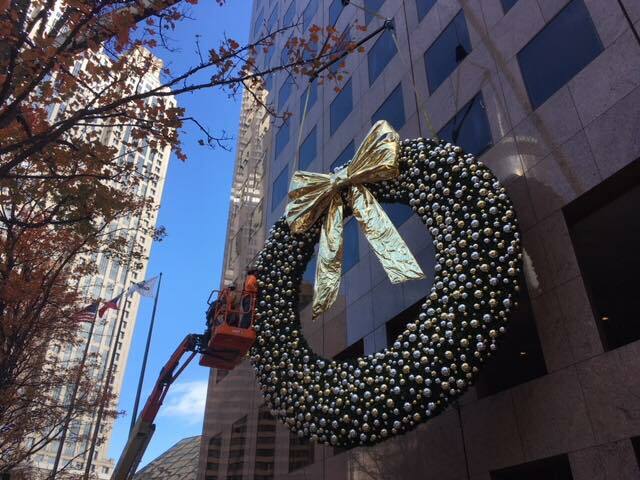 In November we remove the ribbon and install the mustache, and in December, we remove the mustache and install the wreath. 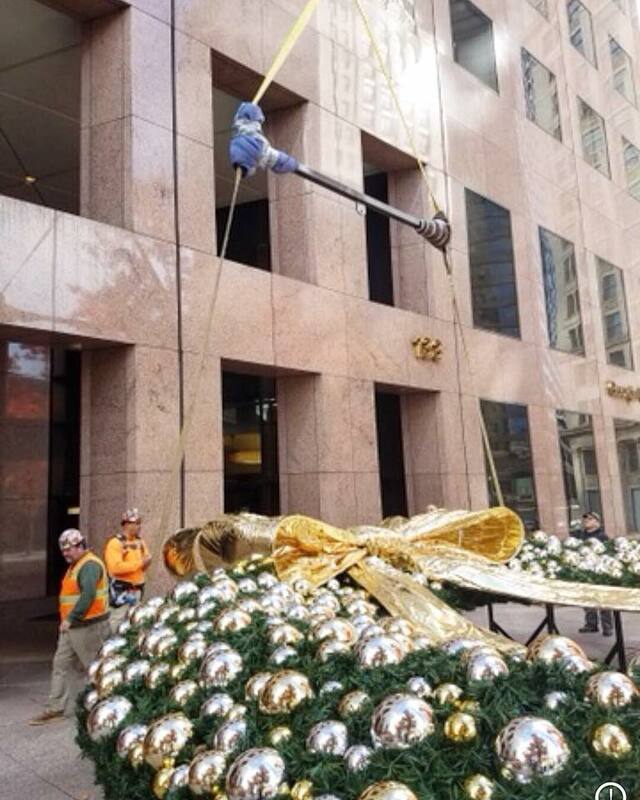 After Christmas we remove the wreath and store until the next year. 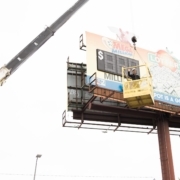 PROJECT SUMMARY: This project required the use of our boom truck, rigging team and Superior’s storage facility.